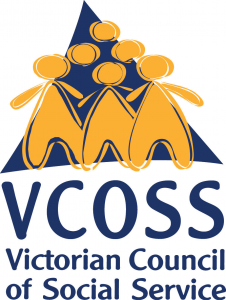 Reporting to the Executive Director, Policy and Impact, with the support of the Victorian Government you will build upon existing relationships with VCOSS and deliver an institute that is locally and globally engaged. Developing and working with Advisory Councils, Ministers and Senior Officers and a range of stakeholders within RMIT and across the education and training landscape in Victoria and beyond, ensuring that the institute continues to be co-designed and consumers, carers, works and NFP remain at the forefront of teach ing and research design. You will manage a small, agile talented team that will be mobile and connect in across the wider University. You will manage the existing partnership between VCOSS and RMIT University and will be a key influence across Vocational Education and Higher Education. Critical to this role, is proven leadership experience with a strong understanding of the values related to core social service such as; disability, aged care and family violence, as well, as an ability to engage in policy discussion relevant to these fields. With outstanding communication and networking skills, you will have a proven ability to develop mutually beneficial relationships with a diverse stakeholder base such as State Government, Premier’s Office and Not-For-Profit organisations and education providers. With demonstrated success in generating external income you will also have a proven capacit y to undertake or oversee research and ensure that research informs practice. The FSSI is a collaboration between the Victorian Council of Social Services (VCOSS), the Victorian Government and RMIT. This externally-focused, entrepreneurial unit was formed due to the rapid growth in the social service workforce over the last 20 years and projections that this will continue unabated for the foreseeable future. Over the next five years over 250,000 new jobs are projected to be created in Health Care and Social Assistance, almost double the next best performing sector. Based at RMIT, the Institute is unusual in that it has a tertiary charter, offering programs from certificate to PhD and also re search, which in turn feeds into curriculum design. Staff will work in a collegial environment involving teams that can include vocational teachers, researchers, PhD students and industry experts. The Institute is guided by an independent board chaired by VCOSS with RMIT as Deputy Chair and members from the social service industry and will have a range of advisory groups. Please quote in application: Director - VCOSS Future Social Service Institute via Pro Bono Australia.